A forgotten manuscript by Winston Churchill about the possibility of life on other planets is making the news today. The ideas expressed by Churchill in this essay are certainly insightful and noteworthy, but they shouldn’t come as a surprise. They were published in 1942. Read more about Churchill and Life on other Planets - Just Discovered? I began my previous book, Churchill and Sea Power, by explaining why I had chosen to publish a new work about Winston Churchill, surely one of the most studied historical figures of the twentieth century. 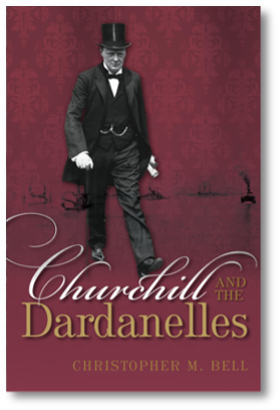 Four years later, I find myself in the curious position of having written another volume about Churchill, and on a topic that I had already addressed in the earlier book. This new project was inspired by a sense of unfinished business. I am not happy with how Halifax Regional Municipality gives out parking tickets, and one of the advantages of having a blog is that I have a forum to vent some frustration. Hopefully my experience will help others avoid the same mistakes.